Beasts with multiple horns and multiple heads, dragons and bears, leopards with four heads and four wings, a beast that looks like part lion, part bear, and part leopard, a bottomless pit, people with numbers on their foreheads, seven last plagues, seven trumpets, seven seals, seven Spirits of God, and so on. This sounds like science fiction, except these symbols portray powers and events soon to come upon earth. How does one make sense out of what is being shown and understand what these symbols represent? Many throw in the towel before they start; others plod along, studying what others have written, but if you are like me, you are never quite satisfied that what you are being told is correct. Twenty-four years ago, I began to closely examine Daniel and Revelation to try to discover what these prophetic books are saying. “Whom shall He [Elohim] teach knowledge? And whom shall He make to understand doctrine? Them that are weaned from the milk, and drawn from the breasts. For precept must be upon precept, precept upon precept; line upon line, line upon line; here a little, and there a little” (Isaiah 28:9-10). The study of the prophecies of Daniel and Revelation are not for novices of the Christian faith. I had been walking with Elohim for twenty years before I began studying them for myself under the tutelage of the Spirit of Elohim (John 16:13). Twenty-four years after I began my studies, the promised blessing on those who “read, and they that hear the words of this prophecy, and keep those things written therein” has been realized and experienced (Revelation 1:3). When Elohim gave to John the vision of “the Revelation of Yahushua Messiah,” it was for the purpose of showing “His servants things which must shortly come to pass” (Revelation 1:1, emphasis added). The things John was shown have not yet occurred, “but the time is at hand” when they will begin to happen and certain events will occur in rapid succession and will occur during a very short period of time (Revelation 1:3, 8:5-12) during the final generation of this earth (Matthew 24:34). Daniel was told to “seal up the book, even to the time of the end” (Daniel 12:4) and “the words are closed up and sealed till the time of the end” (Daniel 12:9). There have been interpretations given for the book of Daniel, but the correct understanding of those portions of the book of Daniel relating “to the time of the end” was to be “sealed till the time of the end.” Unfortunately, many of those who have accepted previous interpretations will have a difficult time with what is said in this book because they now have preconceived opinions of what certain passages are saying. This is a problem that Yahushua mentioned in Luke 5:36-39 and will be discussed later in this chapter. Daniel and Revelation reveal what will be happening during the “time of the end;” they complement each other and add to each other’s description of specific events. They are not repetitious or parallel; they are complementary. The correct understanding of those portions of Daniel relating to the “last days” was not to be known until we reach the foretold time of the end. “For the prophecy came not in old time by the will of man: but holy men of Elohim spoke [and wrote] as they were moved by the Holy Ghost” (2 Peter 1:21). What they wrote was inspired by the Spirit of Elohim and can be understood only as the Spirit of Elohim opens our minds as to what these books contain. “But the natural man receives not the things of the Spirit of Elohim . . . because they are spiritually discerned” (1 Corinthians 2:14). Without Elohim’s enlightening Spirit, we cannot understand what we are reading. That is difficult for many to grasp who do not understand the operation of the Spirit of Elohim. This may be the greatest reason people do not understand Daniel and Revelation and give up trying to understand these prophecies. They rely on their innate intellectual abilities instead of relying upon Elohim to keep His promises to those who claim them as found in John 16:13 and other passages of Scripture. Elohim has promised to give us His Spirit in order to help us understand, if we ask. “Howbeit when He the Spirit of truth, is come, He will guide you into all truth: for He shall not speak of Himself; but whatsoever He shall hear, that shall He speak: and He will show you things to come” (John 16:13). As I have studied Daniel and Revelation, I relied on this promise Yahushua made. We must be persistent in our asking of Elohim and not give up until we have what He has promised. Yahushua taught us to be “importunate” in our asking (Luke 11:5-8), “persistently demanding in an annoying and unreasonable way” (Webster’s Dictionary). In the illustration that Yahushua gave, the man in bed was a friend of the man who was asking for bread, but it was the man’s “importunity” that was the reason for the petition being granted. In Hebrews 11:6, we are told “But without faith it is impossible to please Him [Elohim]: for he that cometh to Elohim must believe that He is, and that He is a rewarder of them that diligently seek Him” (emphasis added). Consider carefully what you are asking for to make sure it is in harmony with the will of Elohim! It may be that Elohim is waiting to see if we are in earnest for what we are petitioning Him. Yahushua said, “And I say unto you, Ask, and it shall be given you; seek, and ye shall find; knock, and it shall be opened unto you. For everyone that asks receives; and he that seeks finds; and to him that knocks it shall be opened. If a son shall ask bread of any of you that is a father, will he give him a stone? Or if he ask a fish, will he for a fish give him a serpent? Or if he shall ask an egg, will he offer him a scorpion? If you then, being evil, know how to give good gifts unto your children: how much more shall your heavenly Father give the Holy Spirit to them that ask Him?” (Luke 11:9-13). Elohim wants and actually delights to give good gifts to His children just like any earthly father wants to give his children good gifts. In Matthew 5:42, Yahushua told us “Give to him that asks thee.” Yahuwah operates under the same principles He expects of His children. If He expects us to give to people that ask of us, then we can be assured that He will do the same for us when we ask Him for something that He has promised. He is not a hypocrite and expects us to do one thing, when He does something entirely different. He teaches us the principles by which He conducts Himself in all His affairs and wants His children to conduct themselves in like manner. Elohim is faithful to do what He has promised to do. “Elohim is not a man, that He should lie; neither the son of man, that He should repent; hath He said, and shall He not do it? Or hath He spoken, and shall He not make it good?” (Numbers 23:19). “For the eyes of Yahuwah run to and fro throughout the whole earth, to shew Himself strong in the behalf of them whose heart is perfect toward Him” (2 Chronicles 16:9). “No good thing will He withhold from them that walk uprightly” (Psalm 84:11). A man is only as good as his word, and Elohim never fails to do what He has said He would do. I can have confidence in Him or anyone who is like that. When we take Elohim at His word, we will realize the fulfillment of His promises to us. In fact, He will “do exceeding abundantly above all that we ask or think” (Ephesians 3:20, emphasis added). In my studies, I found no evidence to support my previously held views concerning the prophecies of Daniel and Revelation. I had set aside all my preconceived ideas when I began my investigation and wanted to see if I could understand what they were saying without allowing my former ideas to influence my studies; I was amazed at what I was shown in these books. I did not study them in order to sustain what I had previously believed. The greatest hindrance to understanding the prophecies is the preconceived opinions we already have about them. “Open Thou mine eyes, that I may behold wondrous things out of Thy law” (Psalm 119:18). Our “spiritual eyes” are closed because of our preconceived ideas we already have. The things I have seen in Elohim’s word were always there, except I could not see them with my natural eyesight until Yahuwah gave me “eyesalve” (the Spirit of Elohim) to help me see what was always there. “And anoint thine eyes with eyesalve that thou mayest see” (Revelation 3:18). In Luke 24 we have the story of Yahushua walking unrecognized with two of His disciples after He had been resurrected from the dead. After Yahushua had revealed Himself to the two disciples we read, “And they said one to another, Did not our hearts burn within us, while He talked with us by the way, and while He opened to us the scriptures?” (Luke 24:32, emphasis added). Yahushua must open to us the correct understanding of the Scriptures through the Holy Spirit of Elohim. However, if we refuse to be corrected, Elohim will allow us to continue to believe a false interpretation. “Because they received not the love of the truth, that they might be saved. And for this cause Elohim shall send them strong delusion, that they should believe a lie: that they all might be damned who believed not the truth, but had pleasure in unrighteousness” (2 Thessalonians 2:10-12). “For the time will come when they will not endure sound doctrine: but after their own lusts shall they heap to themselves teachers, having itching ears; and they shall turn away their ears from the truth, and shall be turned unto fables” (2 Timothy 4:3-4). It does matter whether we believe the truth or a lie. “Elohim hath from the beginning chosen you to salvation through the sanctification of the Spirit and belief of the truth” (2 Thessalonians 2:13). The devil is “deceiving the whole world” through the lies that he has sown in the world (Revelation 12:9). The “truth shall make you free” from the lies that Satan has sown (John 8:32). A wise man tells us that “when a man who is honestly mistaken, hears the truth, he will either quit being mistaken, or else cease being honest” by Richard Humpal. Winston Churchill said, “most people, sometime in their lives stumble across truth. Most jump up, brush themselves off and hurry on about their business as if nothing had happened.” May we take the words of these wise men to heart. We must learn to think outside the box (of our preconceived ideas) in which we have been placed. If you have been or are a member of a denomination or movement, you have been taught that particular denomination’s or movement’s beliefs and understandings concerning the Scriptures and in particular the prophecies of Daniel and Revelation. Sad to say it, but in most cases those understandings are not correct and will hinder you from coming to a correct understanding if you choose to retain them when you are shown the correct interpretation. If something is presented to you that differs from what you have previously believed, the only sensible thing to do is to examine the new view in the light of the Scriptures and not in the light of your previously held understanding. That is what Paul commended the Bereans for (Acts 17:11). There is a reason why there are so many different denominations of Christianity, and it is due to entertaining private interpretations of Scripture and especially of the prophecies where we are told “Knowing this first, that no prophecy of the Scripture is of any private interpretation” (2 Peter 1:20). The Bible alone must give us the correct understanding. It was not through my innate intellectual capabilities that I came to what I understand; Elohim enlightened my mind through His Spirit working upon my spirit and that is the only reason I can give for what is written here. Having read my testimony in the Prologue, I hope you realize that my previous lifestyle may have done irreparable damage to my mental faculties. I have no boasting to do in these matters, for Elohim has taught me all that I have come to understand concerning the books of Daniel and Revelation. We must take our position as learners at the feet of our Creator. And now He has asked me, a common, simple man, to be His instrument in writing out what He has shown me. I am just His humble instrument in what you are about to read. To understand the prophecies, we must allow the Spirit of Elohim to teach us and to open our minds to what the Word is saying. And “Elohim is no respecter of persons” (Acts 10:34); He will not do for one what He will not do for all who earnestly seek Him. All we need to do is realize our need, ask for His guidance, and He will teach us. That is referred to as humility (free from pride). We must be humble enough to admit our need and ask for His help in understanding what He has inspired to be written. He cannot help those who already think they know it all and are self-confident and self-satisfied with their understanding of the Scriptures. “The meek will He guide in judgment: and the meek will He teach His way” (Psalm 25:9). If we think that we are smart enough to figure things out for ourselves then we will come away empty. There are fixed principles we need to follow in order to come to a correct understanding of the prophecies, for Elohim wants us to be in agreement on His Word. “Till we all come in the unity of the faith, and of the knowledge of the Son of Elohim” (Ephesians 4:13). “Now I beseech you, brethren, by the name of our Master Yahushua Messiah, that you all speak the same thing, and that there be no divisions among you; but that you be perfectly joined together in the same mind and in the same judgment” (1 Corinthians 1:10). “Thy watchmen shall lift up the voice; with the voice together shall they sing: for they shall see eye to eye, when Yahuwah shall bring again Zion” (Isaiah 52:8). When people sing together they need to be in harmony with one another; so when Elohim’s servants give the closing messages to the world there will be seen a harmony in all that is presented. “Not by might, nor by power, but by My Spirit, saith Yahuwah of hosts” (Zechariah 4:6). It will be by Elohim’s Spirit that this will be accomplished. “With men this is impossible; but with Elohim all things are possible” (Matthew 19:26). It was the earnest desire of Yahushua that His followers were united. “Neither pray I for these alone, but for them also which shall believe on Me through their word; that they all may be one; as Thou, Father, art in Me, and I in Thee, that they also may be one in us: that the world may believe that Thou hast sent me. And the glory which Thou gave Me I have given them; that they may be one, even as We are one: I in them, and Thou in Me, that they may be made perfect in one; and that the world may know that Thou hast sent Me, and hast loved them, as Thou hast loved Me” (John 17:20-23, emphasis added). The unity of the true believers at the end of time will give force to the message they bare to the world because it will be seen in sharp contrast by comparison to the way in which the denominations and other religions are in disunity of belief. We need to first comprehend that there are rules which the prophecies follow. Elohim is a God of order, and there is order in how Elohim gave these prophecies; if we do not follow those principles, there will be confusion and no unity of belief. Elohim does not work in a helter-skelter manner. He is precise and orderly. We discover those rules by observation and not by making them up as we go. Just as the laws of gravity were first observed, written as a hypothesis, and then tested and proven to be true; so with the prophecies. We observe what appears to be a rule, form a hypothesis, and see if it holds true in other cases when applied. Hypothesis #1. Each segment of prophecy has a beginning and an ending, and all matter that is discussed in between occurs in chronological sequence; if we take things out of the order given, we will come to wrong conclusions. Hypothesis #2. If something is given in what seems to be symbolic language, then other Scriptures will explain what that symbolism means. We do not make up our own interpretation of what we think it means. Oftentimes, this is done when one has a preconceived opinion about something based on something learned in the past. The Bible is clear on this: “Knowing this first, that no prophecy of scripture is of any private interpretation” (2 Peter 1:20). The Bible interprets itself! There are some things in the prophecies that were not placed in symbolic language. When John was given the different segments of his prophecy, it was left with him to put it in his own words. He was not dictated to as to what he should write. Hypothesis #3. We cannot take things out of context; some have done so to support preconceptions. We must learn from these prophecies just what they are saying and not attempt to study them in order to sustain what we have previously understood which will only preclude any progress in coming to understand them correctly. For example, in Revelation 13, the number “666” is in the context of the description of the second beast, but it is frequently associated with the description of the first beast; that will lead to a wrong conclusion. We must keep things in the context they are given in. Also we cannot change the wording to suit our ideas such as is often done with some sections of Scripture. Again in Revelation 13, we are told that “666” is the “number of a man,” and yet people will tell you it is the “number of the title of a man.” We must take the Word of Elohim for what It says; not what we want It to say or think that It is saying or what we have been taught it is saying. Hypothesis #4. is a principle given to us in the Scriptures themselves. “For precept must be upon precept, precept upon precept; line upon line, line upon line; here a little, and there a little” (Isaiah 28:10). We must take everything the Bible says on a particular subject and weigh the evidence found in it before we come to our conclusions as to what the Bible is saying about a matter. We must let each word have its weight in helping us to understand the meaning of what we are studying. Some things we will just have to wait and see what John was talking about in his description of events such as what is pictured in Revelation 9:2-3, 7-10. There are six segments within the book of Daniel and twelve or thirteen segments within the book of Revelation that describe last day events. Each of these segments has a starting point and an ending point and all the matter discussed is in chronological sequence, and each segment is like a piece of a jig-saw puzzle that fits with other pieces and gives us the complete picture of what they are trying to convey. The border of this puzzle is the last days of the earth prior to the return of Yahushua and beyond. 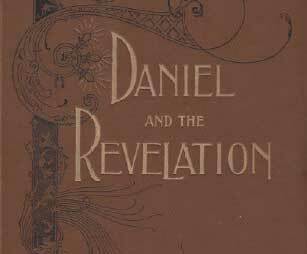 Parts of some of the segments of Daniel and Revelation reach back into the past, but each segment reveals something about the days ahead. Each chapter of this book does not necessarily build on the preceding chapter, but all contribute to the final picture of what is about to happen on this earth and in some cases what will be taking place in heaven. So you must be patient as each piece of the puzzle is discussed in order to see what is really revealed in that portion. There are overlaps in some of the chapters which discuss the same event but add to the overall scenario of that particular event. In most cases, jig-saw puzzles have a picture on the box cover that gives us a clear idea of what we are looking at. Appendix A of this book is the time line in which all the segments are assembled in chronological sequence, and some readers might find it helpful to read it before proceeding to the next chapter. However, the time line may be confusing before readers understand the conclusions expressed there that are based on the discussion of a particular chapter that led to their placement in the sequence in the time line. When something new and fresh would come to me during my twenty-four years of study, I would just stop in amazement and wonder for I had never before seen what I had just at that moment come to understand even though I may have read that particular portion of Scripture multiple times before. The problem was I was reading that portion with biased eyes that were influenced by what I had previously been taught and not studied out for myself. You must be open and willing to have your opinions challenged based on the evidence presented. Truth is available only to those who are willing to question everything they have been taught. Everyone reading this book will start with preconceived ideas or opinions of what certain passages of Scripture mean. Some may be correct and others may not be correct. Those of you who do not have this problem are fortunate. Yahushua said in Luke 5:36-39: “No man puts a piece of a new garment upon an old; if otherwise, then both the new makes a rent, and the piece that was taken out of the new agrees not with the old. And no man puts new wine into old bottles: else the new wine will burst the bottles, and be spilled, and the bottles shall perish. But new wine must be put into new bottles; and both are preserved. No man also having drunk old wine straightway desires new: for he saith, The old is better” (emphasis added). This is why Yahushua in choosing His disciples did not choose those who had been trained in the theological schools of His time for they would have many preconceived ideas which would have had to be set aside in order to learn the correct meaning that had been clouded over by those ideas. He chose humble, common men to become His disciples because they had not been “preprogrammed” in erroneous beliefs. Most who have attended a theological school will have difficulty with what this book is saying because what is expressed in this book is not taught in any theological institution of our day and for the very reasons mentioned in the above parable. The views of this book do not agree with what they have been taught. We must become new bottles if we are not going to perish so we can receive “new wine” (new understanding). But when we have tasted of the old (teachings), we think that they are “better” than what Elohim is trying to show us, and we do not desire the “new,” which is a lamentable fact. It is like when a child’s favorite blanket is taken away. The child has become so attached to the old tattered blanket that he will create quite a fuss when you try to replace it with a new one. So it is with those who do not like to have their preconceived ideas challenged by something they do not understand at the time. But if the individual is honest in heart and will allow the opportunity for something to challenge his or her thinking they will be greatly blessed. Our minds need to expand into areas we have never allowed ourselves to be exposed to in the past. When I first began studying the prophecies of Daniel and Revelation I would go to bed wondering how it could be the way I was beginning to understand them because it was so different from what I had previously understood. But in the morning I would wake up with this thought: “Why cannot it be that way? Where are you getting that understanding?” I would say to myself: “from the Bible” and that would settle the issue. As you read this book, take on the same attitude that the people from Berea had: “They received the word with all readiness of mind, and searched the scriptures daily, whether those things were so” (Acts 17:11). Do not just accept everything that is presented to you without thoroughly examining it, whether in this book or elsewhere. “Search the scriptures” (2 Timothy 2:15) if not “daily,” then thoroughly to see whether those things presented to you are true and are substantiated by the Scriptures. With the eternal destiny of your soul at stake it is unwise to place your confidence in any man or woman or denomination or movement or institution no matter how much confidence you may have in them. Many will be lost because of this misplaced trust. We are told in 1 Thessalonians 5:19-21: “Quench not the Spirit. Despise not prophesyings. Prove all things; hold fast that which is good” (emphasis added). When we follow the counsel given in Elohim’s Word, we will walk securely in the light of His Word. “Follow after charity, and desire spiritual gifts, but rather that ye may prophesy” (1 Corinthians 14:1, emphasis added). Moses told the people of his day that he wished that all might be prophets (Numbers 11:29). “But he that prophesieth speaks unto men to edification, and exhortation, and comfort . . . he that prophesieth edifies the church” (1 Corinthians 14:3-4, emphasis added). There are many reasons for reading this book but none more important than what is written in Amos 4:12. “Prepare to meet thy Elohim.” We want to be ready to meet our Elohim in peace and not in fear! “For unto whomsoever much is given, of him shall be much required: and to whom men have committed much, of him they will ask the more” (Luke 12:48). I believe over the last twenty-four years Elohim has granted to me the correct understanding of the prophecies of Daniel and Revelation, and now He requires of me that I give to the world what He has entrusted to me. My position is defined in Ezekiel 33:2-9, 11. “Son of man [me] speak to the children of thy people [not just to the children of the nation of Israel but to all the world (Jeremiah 1:5)], and say unto them, When I bring the sword upon a land, if the people of the land take a man of their coasts, and set him for their watchman: if when he sees the sword come upon the land, he blow the trumpet [there are seven trumpets pictured in the book of Revelation that are about to sound], and warn the people; then whosoever hears the sound of the trumpet, and taketh not warning; if the sword come, and take him away, his blood shall be upon his own head. He heard the sound of the trumpet, and took not warning; his blood shall be upon him. But he that taketh warning shall deliver his soul. But if the watchman see the sword come, and blow not the trumpet, and the people be not warned; if the sword come, and take any person from among them, he is taken away in his iniquity; but his blood will I require at the watchman’s hand. So thou, O son of man, I have set thee a watchman unto the house of Israel [actually the entire world]; therefore thou shalt hear the word at My mouth, and warn them from Me. When I say unto the wicked, O wicked man, thou shalt surely die; if thou dost not speak to warn the wicked from his way, that wicked man shall die in his iniquity; but his blood will I require at thine hand. Nevertheless, if thou warn the wicked of his way to turn from it; if he do not turn from his way, he shall die in his iniquity; but thou hast delivered thy soul . . . Say unto them, As I live, saith Yahuwah Elohim, I have no pleasure in the death of the wicked; but that the wicked turn from his way and live: turn ye, turn ye from your evil ways; for why will ye die, O house of Israel [or anyone living on earth]” (emphasis added). It has been a great honor coming to understand the prophecies of Daniel and Revelation, but the burden it places on an individual is very great. Eternal destinies may be determined by the reception or rejection of the message contained. It may seem to some of you that I am a bit presumptuous and maybe even a bit proud and conceited, but I assure you I am not. From what we are told in Revelation 10:9-11, the individuals that relate what they discover from their studies of the prophecies will have a very bitter experience to go through. I am naturally of a timid nature and not naturally outgoing. I do not like conflict, but yet what I have written is very controversial in that it challenges and confronts the beliefs and practices of this world. But someone must Go, Tell the World of Their Danger! For their blood will I (Yauwah) require at thy hand if you do not warn them of their danger as seen in Ezekiel 33:2-9, 11. What would you say to me, if knowing what I understand, I had just hidden what I had discovered and not shared it with the world and as a result you missed out on eternity? The hate you would have for me would be great and justly deserved. I would rather you hate me now for telling you what I have come understand which I believe is the truth, than to not have told you and incur your hot displeasure in the future. Seems like such an inadequate way to try to describe what you would feel for me. The Apostle Paul had this to say on the matter: “Am I therefore become your enemy, because I tell you the truth?” (Galatians 4:16). In the end, those who have not told you the truth and lied to you in order to get you to accept their version of the truth will receive not only the wrath of the lost but also the wrath of Elohim. I am simply a servant of Yahuwah giving you the message He has given for the world. “Yahuwah bless you, and keep you: Yahuwah make His face shine upon you, and be gracious unto you: Yahuwah lift up His countenance upon you, and give you peace” (Numbers 6:24-26). It would be a very good idea to read each chapter in its entirety from the Bible before reading the chapter from the book that is being discussed so you are familiar with what it says and refer to it often as you are reading the chapter under discussion. “‘Brethren, we are now erelong to part asunder, and the Lord knows whether I shall ever live to see your faces more. But whether the Lord hath appointed it or not, I charge you before God and His blessed angels to follow me no farther than I have followed Christ. If God should reveal anything to you by any other instrument of His, be as ready to receive it as ever you were to receive any truth of my ministry; for I am confident the Lord hath more truth and light yet to break forth out of His holy word.’ – Martyn, vol. 5, p. 70. “‘For my part, I cannot sufficiently bewail the condition of the reformed churches, who are come to a period in religion, and will go at present no farther than the instruments of their reformation. The Lutherans cannot be drawn to go beyond what Luther saw; . . . and the Calvinists, you see, stick fast where they were left by that great man of God, who yet saw not all things. This is a misery much to be lamented; for though they were burning and shining lights in their time, yet they penetrated not into the whole counsel of God, but were they now living, would be as willing to embrace further light as that which they first received.’ – D. Neal, History of the Puritans, vol. 1, p. 269. Yahushua told His disciples before He left them, “I have yet many things to say unto you, but ye cannot bear them now. Howbeit when He the Spirit of truth shall come, He will guide you into all truth: for He shall not speak of Himself; but whatsoever He shall hear, that shall He speak: and He will show you things to come” (John 16: 12-13, emphasis added). Through the centuries Elohim has been opening to the understanding of His people the truths contained in His Word as they have needed them. Elohim works on a need to know basis. The fullness of truth has not come all at once, but it is like the rising of the sun which shines brighter and brighter unto the fullness of the day. New truths have continued to be made known to His servants until this day as they have sought for them, but when we become content with our understanding of the Scriptures Elohim cannot reveal anything more to us. As we approach the closing scenes on the earth prior to the return of Yahushua great light is being made available to those who will search it out. “And he said, Go thy way, Daniel: for the words are closed up and sealed till the time of the end. Many shall be purified, and made white, and tried; but the wicked shall do wickedly: and none of the wicked shall understand; but the wise shall understand” (Daniel 12:9-10, emphasis added). This book will assist you in understanding what is about to happen and how to “be purified and made white,” ready for “the marriage supper of the Lamb” (Revelation 19:7-9). “So we have the prophetic word made more sure, to which you do well to pay attention as to a lamp shining in a dark place, until the day dawns and the morning star arises in your hearts” (2 Peter 1:19 New American Standard Version, emphasis added). While there have been countless “applications” of portions of Daniel and Revelation, there is only one fulfillment, when every specification of Daniel and Revelation will be fully met and that is during the time of trouble spoken of in Daniel 12:1 which is still in the future. When a man is preparing to work for the Department of the United States Treasury as a counterfeit currency expert, he studies only the genuine currency. He becomes an expert in every little detail contained in that currency. When he has saturated himself in this by knowing every mark, blot, and hidden detail perfectly then a counterfeit bill is mixed in among the genuine currency, and he picks it out without a problem. So the student of the prophetic word must become so familiar with the correct understanding of the prophecies of Daniel and Revelation by personal study that when a false interpretation is being promoted he sees it instantly for what it is – false. The only way this can happen is that you study only the genuine as found in the Scriptures themselves until you are so familiar with it that you can see the false for what it is – false. Unfortunately, nearly everyone has preconceived ideas already ingrained within their thinking which must be set aside in order to learn the truth purely from the Word of Elohim, the Bible, with the Spirit of Elohim as your instructor (John 16:13). Most will not accept the fact that their understanding may be faulty. Yahushua addressed that issue in Luke 5:36-39. Without the eyesalve of the Spirit of Elohim one cannot understand what the prophecies are showing us. ”Anoint thine eyes with eyesalve, that thou mayest see” (Revelation 3:18). “Open Thou mine eyes, that I may behold wondrous things out of Thy law” (Psalm 119:18).